There are many reasons to study in Belgium: world-renowned universities, excellent opportunities for international networking, famously multicultural and multilingual cities, a host of regional cuisines and specialties, beautiful countryside, overall high quality of life, and, of course, those fantastic Belgian waffles. 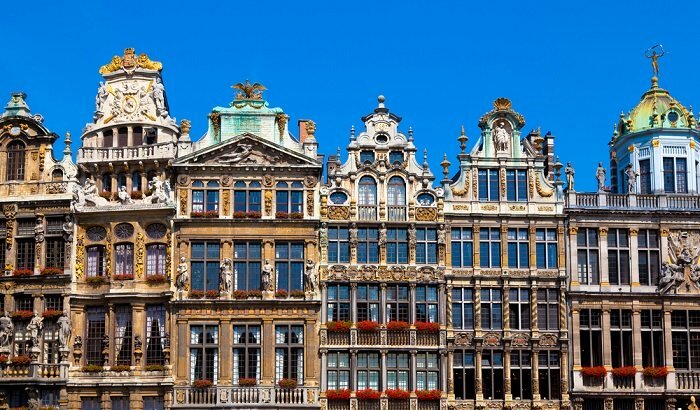 An established hub for international politics, Belgium’s capital Brussels has even more ambassadors and journalists than Washington DC, and is the headquarters of many international businesses and organizations. As you’d expect, Belgium’s resident population is also highly international, with around a quarter of the population of 11 million known as ‘new Belgians’ – those from other countries, and their descendants, who have become permanent citizens. If you’re keen to spend time studying in Belgium, click on the tabs below for information about top universities in Belgium, popular student cities, and what steps to take next. Many universities in Belgium have a strong international outlook and composition, as well as a strong position in the international rankings. A total of eight universities in Belgium are featured in the QS World University Rankings® 2018, all but one of which is ranked within the global top 350. 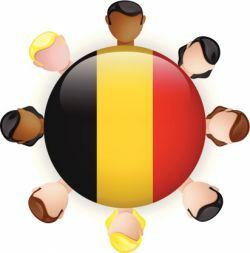 Higher education in Belgium is generally categorized into two groups, split along the lines of the country’s two main language communities: the Flemish (a variety of Dutch) community and the French community. Alongside Dutch and French, Germany is also an official language of the country, though spoken by a far smaller percentage of the population. German-speaking students typically attend a university in the French community, or travel to study in Germany. While French and Dutch are the standard languages of teaching, there are also many international programs taught in English. Higher education institutions in Belgium include universities, university colleges (called hautes ecoles in the French community), art colleges (called ecoles supérieures des arts and only offered in the French community), institutes of architecture (only available in the French community) and the Royal Military Academy. As in most European countries, a bachelor’s degree usually takes three years to complete and a master’s degree one to two years. Bachelor’s degrees are categorized as either a professional bachelor or an academic bachelor. The first of these has a vocational element, while the second is more academic and designed to prepare students for a master’s degree. Having obtained a master’s degree, students can then pursue research projects leading to a doctorate degree. Bachelor and master’s degrees can be awarded by both colleges and universities in Belgium, while PhDs are only awarded by universities. 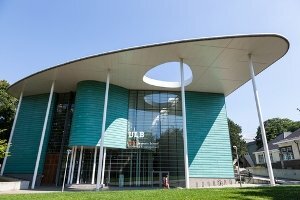 The highest-ranked Belgian university is KU Leuven, ranked joint 71st in the world as of the 2018 rankings. Translated into English, its name is Catholic University of Leuven but it’s more often referred to by its Dutch name. 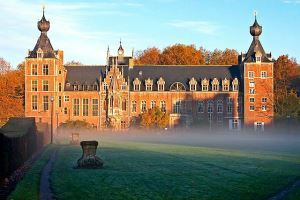 It was Belgium’s first university, founded in 1425 (although it was closed during the Napoleonic period and reopened in 1834). KU Leuven taught around 57,300 students in 2015, making it the largest university in Belgium. Ranked joint 125th in the world, the University of Ghent was established in 1817 as the first Dutch-speaking university in Belgium. The university ranks within the global top 100 for life sciences, and 20th for veterinary science. It’s another large university, teaching around 41,000 students in 11 faculties. 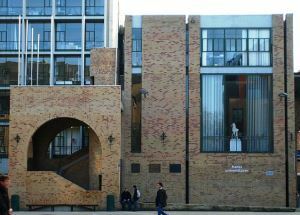 UCL is Belgium’s largest French-speaking university, and is in Louvain-la-Neuve, a planned city which was built to house the university. It has satellite campuses in Brussels, Charleroi, Mons and Tournai. It currently ranks at 153rd in the world, and performs particularly well (17th) in the subject ranking for theology, divinity & religious studies. Ranked joint 182nd in the world, VUB was formed when the Université Libre de Bruxelles split in 1970. Both universities have the same name when translated into English (Free University of Brussels), so both avoid this version to prevent confusion. VUB is known for its high research activity, with its research teams internationally recognized in many disciplines of fundamental and applied research. andwiched between Germany, the Czech Republic, Hungary, Switzerland, Italy, Slovakia, Slovenia and Lichtenstein, Austria is located pretty much in the dead center of Europe, forming a bridge between east and west. Geographically, Austria is dominated by the Alps in its southeast and center, and the River Danube – 10% of which lies within the nation’s borders – on which the capital city Vienna is built. 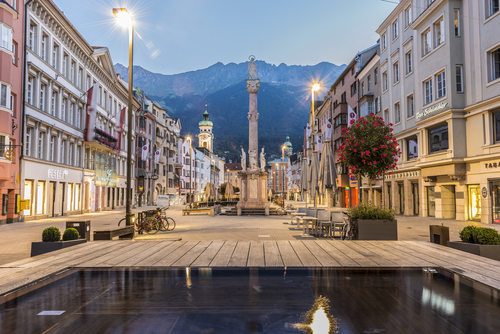 Quality of life in Austria is regularly rated among the highest anywhere in the world. In fact, Vienna was named the world’s leading city for quality of life for the eighth year running in Mercer’s 2017 Quality of Living Survey. 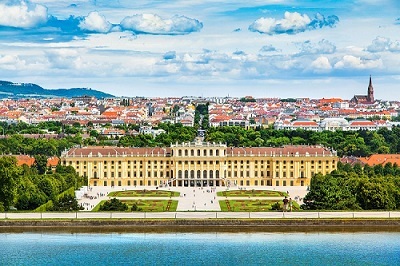 Home to over a quarter of Austria’s population, Vienna is renowned as one of Europe’s great cultural capitals, and is a popular choice for many international students – but it’s certainly not the only appealing study location the country has to offer. 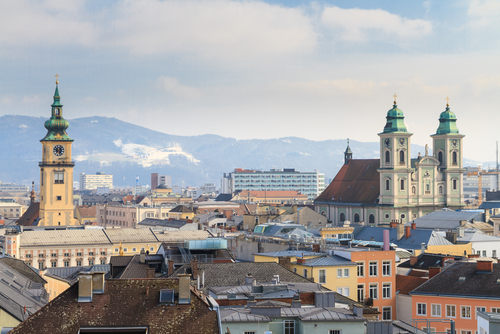 Austria’s second largest city, Graz has a reputation for being a student town, with those enrolled at its four universities constituting a major chunk of its population. The best-known of its institutions is Karl-Franzens-Universität Graz (also called the University of Graz), which ranks within the world’s top 500 in the QS World University Rankings 2018. 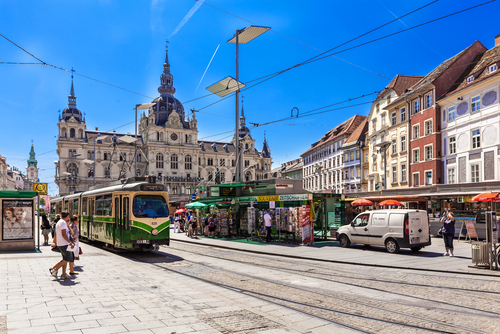 Unsurprisingly given its major student community, Graz offers a vibrant nightlife, alongside a famously relaxed attitude. Located in the heart of the state of Styria in the southeast of the country, Graz is also renowned for its food, a fact which earns it the title of the culinary capital of Austria. Universities in Linz are led by Johannes Kepler University Linz, which ranks among the world’s top 500 in the QS World University Rankings 2018. 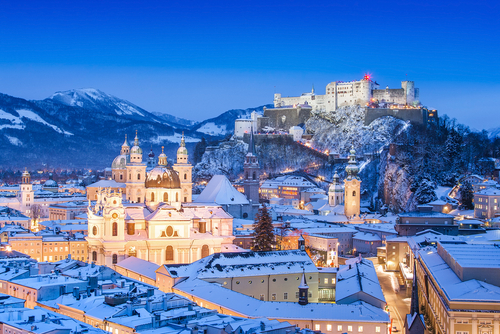 Universities in Salzburg include the Paris Lodron Universitat Salzburg (also known as the University of Salzburg), which is ranked in the 751-800 range of the QS World University Rankings 2018. In order to apply to study in Belgium at undergraduate level, you must hold a secondary school leaving certificate that is recognized by the relevant authorities, or an equivalence statement for that certificate. There are different authorities to contact for equivalence statements, depending on whether you’re applying to attend a university in the French Community, in the Flemish Community, or in the German-speaking Community. Applications to study in Belgium are submitted individually to each university, and specific admissions requirements are set by each institution. In general, those wanting to study medicine/dentistry, arts, management and (only in the French Community) engineering sciences must take an entrance exam. You may also need to take an exam to prove your proficiency in French or Dutch. You’ll also need to pay your tuition fees before you can be fully enrolled. For Belgian and other EU students, higher education is financed mostly by the state. Nonetheless, students must pay an annual registration fee, for every year of their studies. The amount varies depending on the higher education institution, the type of program and students’ eligibility for financial aid. 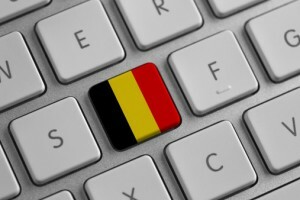 Tuition fees in Belgium also differ depending on whether the program is offered by an institution in the Flemish, German-speaking, or French community. Students from the EU will pay a maximum of €835 (~US$910) per year, while international students from outside the EU will pay €835-4,175 (~US$910-4,560) and may need to pay additional registration fees – again, the amount depends on the institution and program. You can obtain specific information about the total fees amount by contacting your chosen institution(s). University accommodation in Belgium is often readily available for short-term or international students; however, if you wish to rent a private flat, it’s often necessary to sign a one-year contract. Expect to pay between €150 (US$200) and €400 (US$540) per month, depending on whether you prefer university housing or private accommodation, and depending on where you study in Belgium. If you rent your own one-bed apartment, this is likely to cost around €675 (~US$740) per month in a city center, or €500 (~US$550) outside the center. Home-stays are also popular in Belgium, and give students a chance to learn about Belgian culture first-hand, while possibly improving their language skills. However, this option is more commonly used by short-term students who are, for example, studying in a language school. Contact your university’s student support services or international student department for further information on finding student accommodation in Belgium.